The germinated seeds peak out above ground and immediately spring up into small, blade-like green plants. They are still very fragile at this stage, and they look it too. What we are now going to discuss is the growth of this plant. 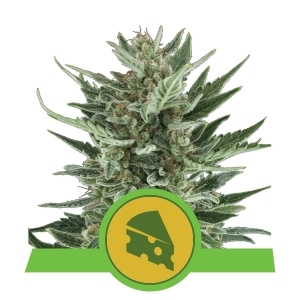 The growth period is an important factor in determining the eventual size of the yield you will get from your plants. A good growth is even more important than the bloom itself. Putting a plant through pregrowth means that we will keep the plants in their growth (also known as 'veg') period for between one day and several weeks, and we do this by putting the lamp timer on 18/6. This means 18 light and 6 hours night/sleep for the plants. The plant is now equipped to take advantage of the light in full and begin to develop in breadth and height. The more growth you allow the plant, the more leaves it will develop, and develop them on stronger side-branches, thanks to which growth will accelerate even more. A plant that a week previously had only 10 leaves and now has 25 can naturally grow far quicker thanks to the increase in the amount of light it is able to make use of. So it is that in the beginning of the growth it always goes slowly until the plant has made enough leaves to reach a certain growing speed. At this moment you will quite clearly see that just one day's growing makes an enormous difference, and you will notice that the plants have made great progress with just that single day. More growth means more nutrients to be given, more oxygen needed... To achieve a good growth you have to continually keep all factors under firm control. 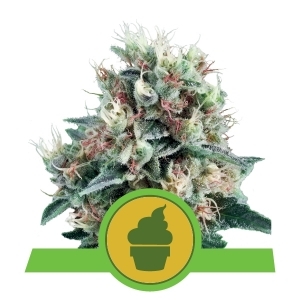 If at any time there is a deficiency of oxygen in your growing space thanks to too little or no vacuum extraction, then your plants are going to be retarded in their growth potential. 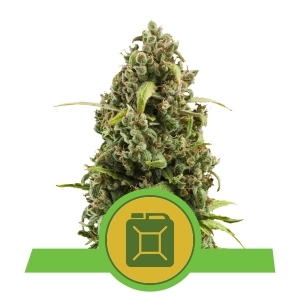 Various mediums (or media) can offer various growing speeds to your plants. The most common are still soil, coco and hydro (growing in water). Each medium has its own qualities, advantages and disadvantages. Soil only enables a rapid growth as long as it is well aerated and light in structure. Because roots can best develop by growing through light, airy soil, this is what we have to try and give them. The faster the roots grow and spread, the quicker the plant above ground can grow. Roots need oxygen, and hard ground that has been compacted contains less oxygen than a lightermix. The advantage of using soil is that it contains nutrients and so one does not need to start so early with adding liquid feed. What can be important for beginning growers is that this prevents difficulties in the early stages of the growth. A poor start can be disastrous for the future blooming and harvest. Soil or earth is therefore a perfect medium for beginnerlevel growers and by learning with this you can build up your growing knowledge. Learn to grow well in soil and you can always fall back on it in the future. Coco is an even more aerated substance to grow in. 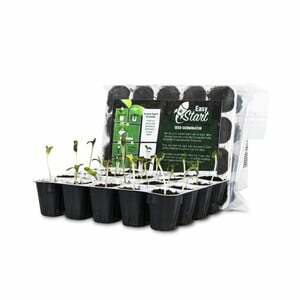 It is a favourite medium of mine and ensures the plants get an outstanding start thanks to the oxygen-rich coco fibres. Plants that have been growing in a more oxygen-rich medium are stronger and develop more - and more powerful - side branches. The drawback with using coco is that it contains no nutrients; it is food-poor. That is why you have to begin very early with adding liquid nutrient. This could create problems, but coco is very user- friendly and difficult to over-fertilize. It is perhaps even more difficult to over feed it than soil. Over feeding comes about from an accumulation of salts that are present in all feedstuffs. With the passage of time, if you are using too high a dose of nutrients (being a beginner grower), the plant can not take them up quickly enough any more. The leaves will begin to develop ugly stripes, first visible at the edges where the leaves are expanding in size, then the leaf dries out and dies. To prevent this you have to flush your medium. Flushing is giving extra water so that the accumulated salts are washed out of your medium. If you have a plant with very deep green leaves then this is a sign that there is sufficient nutrient present, and to give it more food at this time could well lead to over-feeding. If you are not sure about it, wait without giving any more nutrients and the plant leaves will turn a lighter shade of green, and then you know it is okay to give it more food. If you leave it too long the leaves will begin to turn yellow. 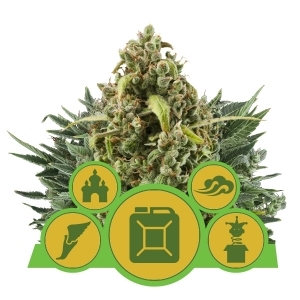 Growing on hydro gives you the greatest growth speeds as long as you go about it in the right way, thanks to the presence of a wealth of oxygen available to the roots. It is far more workintensive than growing in soil or on coco. I personally choose coco because it is a good middle way between soil and hydro. You achieve good growth results but do not have to give it too much attention. It must be said that once you have hydro growing off pat, it goes really smoothly. But with hydro you are more dependent on electrical apparatuses, and if these play up or you get a power outage, then you are up the Swannie, or you have to lash out on back- up power. 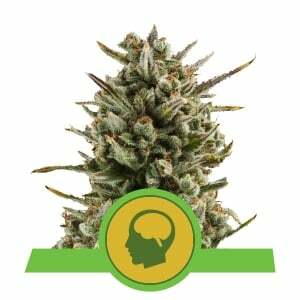 Nearly all growers use rootstimulating compounds to ensure a powerful growth. As has been the case so far, all the action here again takes place under the soil in the beginning. A small seedling still has very few roots. The idea is that we are going to stimulate the plant to produce as many roots as possible, as fast as possible, in the medium. The most commonly used is liquid root stimulator, something that all the big nutrient making companies tend to have in their range. 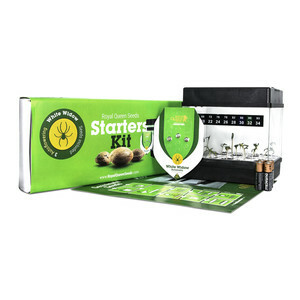 Root stimulator makes sure that the roots receive a growth impulse. That it works can usually be best noticed when growing in soil. The root stimulator will also make it possible that other plants in your soil mix also begin to grow. So don't be alarmed if you suddenly find a different kind of green poking its head up out of your soil than you expected. We generally dilute root stimulator with water, although it is used undiluted for dunking cuttings into to prompt them to root during clone making. We do not use root stimulator together with liquid fertilizer, since this reduces the effectiveness of the stimulator. So in the plant's first few days we need to add root stimulator - do not mix it with any nutrients. In this way we can get off to the optimum start. There are also friendly (symbiotic) fungi that we can apply to promote good root development. Nova-Star-T from BioNova is a small bag filled with a powder which contains spores of these beneficial moulds, which you mix with water. With this you soak the cutting blocks in which your seeds or clones have been planted. The mould works as a symbiont and needs the plant in order to survive. The plant in turn uses the mould as an 'extra root system'. Wherever the mould grows the plant can also take up nutrients from. The effect you get is that the plant gets a much stronger and healthier start and has access to much more of the medium's nutrients. Almost all products that have a stimulating effect on roots are useful for the start of the growth period. Your mission if you encounter them is therefore to mollycoddle your roots until they're nice and strong. 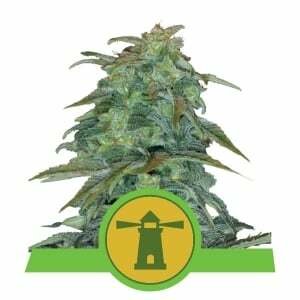 With the growth phase you can largely determine the dimensions, shape and yield of your plants. There are various ways of raising cannabis and these are to a large extent dependent on their way of growing. You can put many plants into a square meter; then it is important not to give them much growing time. The plants may not be allowed to get too big or they will suppress each other. The fewer plants you choose to raise, the more growth you can allow them. Seed plants and clones have different growing preferences. Clones are older plants than seed plants and therefore are already adult and so need less growth before being induced into blooming. A seed plant goes through various stages and becomes mature after about a month of growth. The better you are as a grower the faster you can bring a seed plant to adulthood. This does not only depend on time but also the bulk. If you look at a clone then you'll see that the side branches run step-wise. If you look at an immature seed plant then the side branches are proportionately straight. Once the seed plant has become adult then the side branches will also begin grow step-wise. By giving them more or less growth then, you can determine the dimensions of your plants. But remember that simply making a plant bigger does not necessarily mean you will get a bigger yield from it. 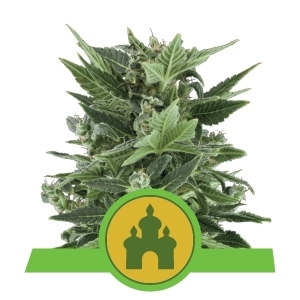 It is especially important as a beginner grower to appreciate that a plant undergoes a tremendous rate of development once it is put into bloom and will continue to increase in size for a good three weeks before it reaches its eventual size. What is the perfect growth? A perfect growth is when the plants have reached the ideal size once they have been set to bloom, and when all plants can still develop very well without getting in each other's way. The entire square meter therefore is filled by the plants with no gaps left between them, but it is not so full that the plants compete with each other for resources. By allowing them too much growth or using too many plants, all the plants will develop less well. A plant needs space in which to allow her side branches to develop and so increase in girth. If she has not got this then she will increase in height. The drawback with this is that the lowest side branches will be weak and will not develop very heavy buds. In order to get a good harvest you will have to achieve good bud development in the lower branches as well as up top. Anyone can grow themselves a big head bud; it's something else to get equally good weights off the lower reaches. But if you can, this is how you get really good harvests from just a few plants. As a good rule of thumb, eight seed plants given three weeks of pre-growth should fill a single square meter under a 600w lamp and will give a yield of 500 grams. That is approximately 63 grams per plant, a figure that is not exactly super-high. I usually keep an eye on my plants and once they are between 25-50 cms high and have become small adults, with small, strong side branches, then they are ready to put into bloom. You can put clones into bloom sooner, since they start out more mature. For the same reason, do not let them get much bigger than 25 cms. Clones are more branchy which means they let less light through to the lowest branches. A plant that is too big will allow little to no light through to the lowest branches, which will therefore not develop buds. Letting your plants grow too big is therefore a waste of time and energy. You are restricted by the power of your lamp and this will ensure a good, heavy bud evelopment only in the top 20 cms of your plants. The lower you go, the smaller the buds will be. By making sure that you let as much light as possible get through to the lower reaches of your plants you will maximise the development of the buds down there. During the growth period the plants most need nitrogen and potassium. If your plants become deficient in either of these during the grow period they will turn yellow. If you choose to grow in soil and use a good mix from a grow shop, that will contain enough of these key nutrients for three weeks to a month. The advantage of this is that you do not need to add extra liquid fertilizer until the bloom period. The extra price that you pay for the better soil is therefore worth it. You also save yourself a load of potential problems. Cheap soil mix can quickly lead to deficiencies because there is little nutrient in it that is readily available to our plants. So you have to begin adding liquid fertilizerearlier, which is not a problem in itself although some people do manage to over- fertilize, and so it is always better to wait as long as you can before you have to start fertilizing. Now you cannot avoid making mistakes while growing cannabis. In fact, the more the better. If you learn from your mistakes and know what you did wrong then you won't make the same mistake again. Above all follow the instructions on the bottle and use a millimetre syringe to exactly measure out the quantities you want to add to your feed water. Sufficient nutrition without going overboard will result in wonderful, healthy growth in your plants. The bigger your plant gets the more fertilizer you will have to give it. So you will notice that if you continue to give the same concentration of nutrients to your plants, at a certain point they will start to develop yellow leaves. The plant is trying to make it absolutely clear that she needs more food. The dose (strength) of your feed water needs to be raised or nutrients should be given more frequently. After coming up, the seedlings pictured above were planted in Plagron's Royalty Mix. This prefertilized soil contains enough nutrients to last for a few weeks. During these first weeks I gave root stimulator to the plants. As time passed the plants began to grow ever faster. As an extra boost, during this growth period I also gave them Alga Groei , a liquid growth feed from Plagron. This is not absolutely vital since there is enough nutrient in the pre-fertilized soil mix, but by giving some extra nutrient I am able to maintain the soil's nutritional value level. If we were to now give no more food then eventually after a few weeks the soil would be worn out and depleted. If we give regular extra nutrition, we avoid having to suddenly start giving heavy duty fertilizer. Is it clear what I'm driving at here? Naturally, we avoid giving too much food, since this can create to high a risk of over-fertilizing. Besides applying root stimulator and liquid growth feed, there is actually very little more to do in this growth period. We make sure that the lamp is moved so that it stays between 30-40 cms above the plant. The best way to ensure this is feel with your hand how hot the lamp is burning at leaf level. You place the lamp after a week and a half as close as possible to the plants before they can feel the burning hot, dry air from the lamp. The correct height varies from grow space to grow space and the number of lamps in the space. If you have a good air circulation then you can let the lamp hang a lot lower because a lot of the dry, hot air is removed from the immediate vicinity of the plants, causing them less stress from the output of your lamp(s). We keep the air moisture levels during the first weeks as high as possible too because the plants can grow so much faster and make their leaves more easily. A high air moisture content can do wonders, and we can achieve this by turning off the air extraction, or letting it run on a very low setting so that the moist air is not immediately pumped out of the growing space. An air humidifier helps of course too! We aim to keep the temperature between 22-28 degrees Celsius and at night between 18-22 degrees. Just so long as the temperature does not fall below 16 degrees then you will not get any significant loss of growth. Do not forget to let your lamps do as much of their work as you can at night if you have cheap rate electricity at this time of day, and over the course of your growth you can save a fair bit of cash. Green plants have now been raised, you can caress their sturdy stems and savour the taste and smell of your future crop already. 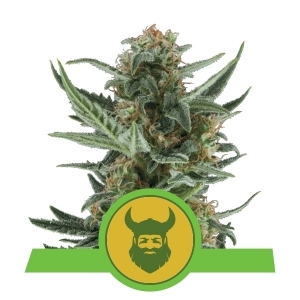 Now you just need a few more months of patience to practice before you can enjoy your well- earned heavy buds at harvest time.